For 2017, the Hamilton Mini Maker Faire has got itself a brand new website! For all the info on our upcoming Faire and beyond, visit us at hamilton.makerfaire.com. Save the Date for the Hamilton Mini Maker Faire – Sunday June 11th, 2017! The 2nd Annual Hamilton Mini Maker Faire is less than 24 hours away! We can’t wait to share what Hamilton’s Maker Community has put together. It’s going to be a fantastic day! Read on to get directions for tomorrow’s event. The Faire runs from 11am to 5pm. Visitors are welcome to arrive any time, and stay for as long as they like. Come for a picnic! Bring your own food, or buy from our food trucks, True North BBQ, Urban Express, Crazy Burrito and Foundry Ice Cream. Don’t miss performances on our Wood Shed Stage at 12:30 and 2:00 pm. The Museum will be conducting tours of their 70 ton steam engines all day. In the event that it rains on the day of the event, the Mini Maker Faire will still take place. There will also be on-site parking available for a $5 fee. (the fee will be waived for cars with handicap passes). On-site parking is limited however, so once the lot is full, able-bodied visitors may be asked to park at Globe Park. Museum and Parking Road Map. Click to see in Google Maps. Woodward Ave. has bike lanes running North-South. Connect from the West by travelling along the Cannon St Cycle Track to Britannia, then Maclaren, then Woodward. From the South, use the Red Hill Creek Trail to get to the East end of Brampton St, then take Brampton to Woodward. From Burlington, Grimsby or anywhere along the waterfront, use the Waterfront Trail to connect to the QEW pedestrian bridge, then South to Brampton St along the Red Hill Creek Trail. Your electronic tickets if you pre-registered. If you haven’t yet, click here to get a free ticket! Our volunteers will stamp the hands of those guests who arrive with a ticket, after which you are free to roam the site. Those visitors who do not pre-register will be asked to sign a safety waiver before entering. 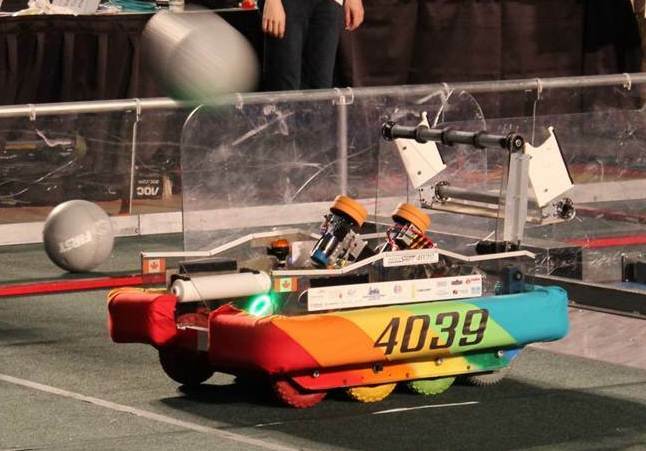 Your imagination and passion – Maker Faires are about celebrating Hamilton’s Artist, Maker and Hobbyist communities, and learning how to get involved. Talk to our exhibitors and have fun! If you have any further questions, feel free to contact us . See you Sunday! Live at the Woodshed Stage! Hamilton’s award-winning 1920’s ragtime-blues-jug band will be joining the Maker Faire on stage! Trust us – you want to catch this phenomenal act. Myke Hutchings will explain the science behind the first electronic instrument and the only instrument played without physical contact – the theremin! 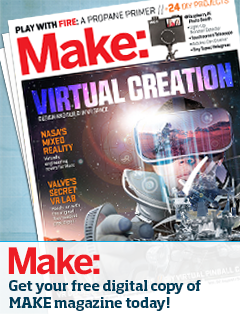 Join us to celebrate our makers and announce the “Best in Show” winners! You asked, we deliver – by popular demand, the 2016 Hamilton Mini Maker Faire will feature a Maker Marketplace with a selection of creative vendors! Talk to the makers and bring some goodies home with you. 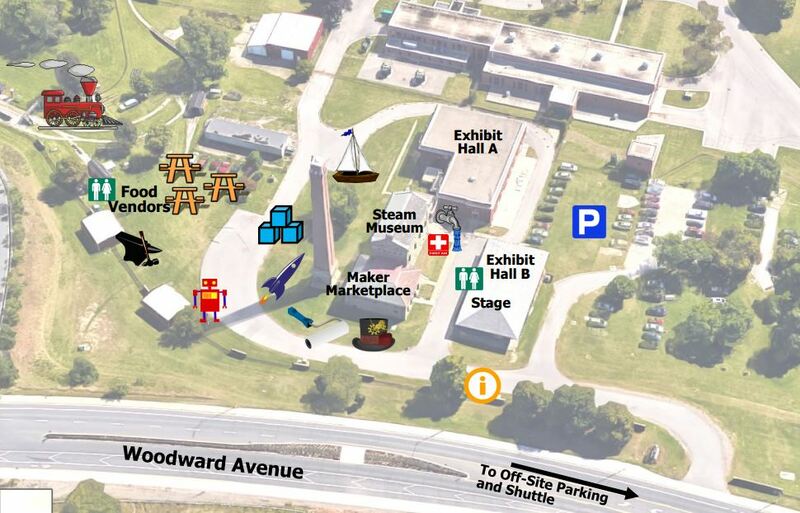 The Marketplace will be located inside the Boilerhouse building at the Museum of Steam and Technology, Sunday June 26th. Check back often for the most up-to-date list of vendors! Happy Bees Apiary – Local honey, beeswax candles, and honey-products! The Chemist Tree – chemistry-inspired goods, including posters, stationary, and buttons and totes! Hammer City Makers Swag Shop – Maker Faire Memories and Souvenirs! Can’t hold it in any longer – we are uber excited to announce our exhibitors at the 2016 Hamilton Mini Maker Faire! Come to the Museum of Steam and Technology June 26th to meet with and learn from these great makers. The list is still growing, so check back often for the most up-to-date list! Robot Playtime: An interactive robot that teaches the essentials of programming and robotics! Hamilton Advanced Additive Manufacturing, displaying their 3D-printed Thomas the Tank Engine! Hamilton Tool Library – sharing tools and skills in Hamilton! Golden Horseshoe Live Steamers – Builders of miniature locomotive trains, providing free rides along the Steam Museum railway tracks! Sienci Mill One – desktop milling machines! Hamilton Children’s Museum – fun with big blue blocks! Do YOU have what it takes to be one of the exhibitors at the 2016 Hamilton Mini Maker Faire? Take our quiz to find out! If you answered “Yes” to Question 1, and checked any of the boxes in Question 2, we want YOU to apply to exhibit at the Hamilton Mini Maker Faire on June 26th, 2016. Fill out our application here! 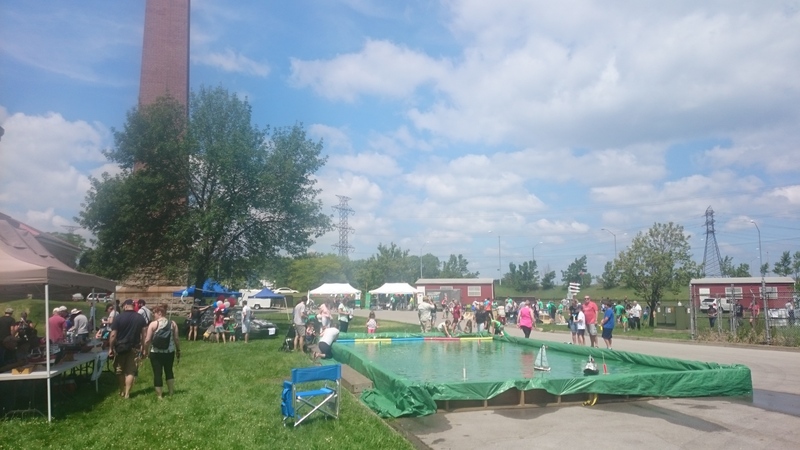 Hamilton’s FIRST Maker Faire Event was held on June 21st, 2015 at the Hamilton Museum of Steam and Technology and IT WAS STELLAR. We didn’t know quite what to expect our first year out…but with your help, the Hamilton Mini Maker Faire drew the biggest one-day crowd to the Steam Museum – ever! It would seem that Hamilton really is a town that loves to celebrate Makers. We are very excited to announce our plans for the 2nd Annual Hamilton Mini Maker Faire, which will be held on Sunday June 26th! Until then…we invite you to bask in the warm glow of these highlights from the 2015 Hamilton Mini Maker Faire! Of course – free miniature train rides!